This is my experience of launching Archetype Foundry and Dita Grotesk Mono in three weeks flat. I have always been attracted to the written word for as long as I remember. I was interested in typography, even before I realised I was interested in typography— when I was just a kid looking at fancy letterforms in old Reader’s Digest magazines. This stayed with me as I grew, and heavily influenced my career as a graphic designer, web designer, 3D artist, level designer, game designer, UI/UX designer, product designer, hardware designer and now finally, my foray into type design. 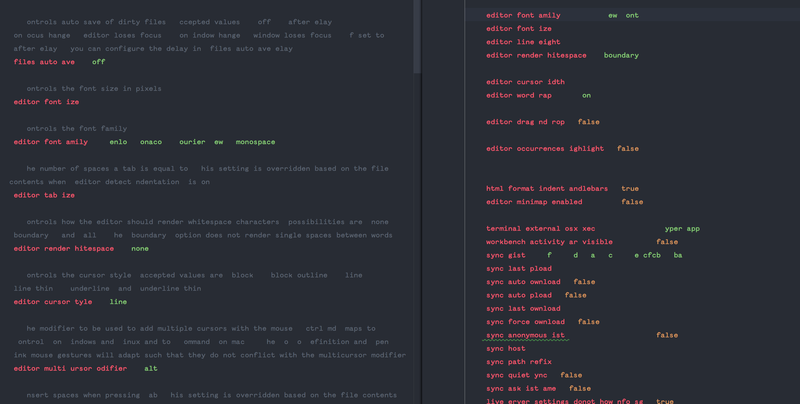 I spent a lot of time on Typewolf looking up monospace fonts, as I am perennially dissatisfied with the IDE font on Webstorm and VS Code. I play with and tweak settings at least four times a week, hoping to settle on something that would last for maybe a month. 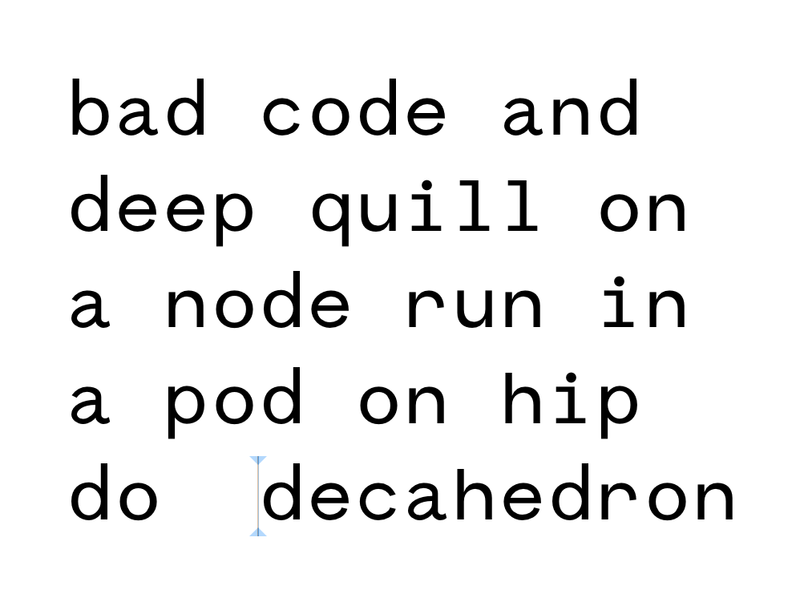 But there are only so many high-quality free/cheap monospace fonts, and only so much money in my wallet. My longest relationship was probably with Space Mono, which lasted for about six weeks, I think. There are three monospace fonts I wish I could afford— the incomprehensibly beautiful Founders Grotesk Mono, the subtly classy GT America Mono and the silently delicious Apercu Mono. Every now and then, I visit these webpages and specimen sheets, and scroll wistfully up and down, gazing at the character set and drinking in the curves and angular cuts. 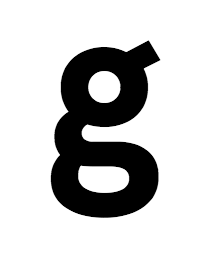 Apercu’s lowercase ‘g’ is probably what I stare at the most. About a month back, I grew jealous of these foundries and their fonts, decided enough was enough, and concluded that I needed to make my own custom font, something that I can use on my machine for more than four weeks. 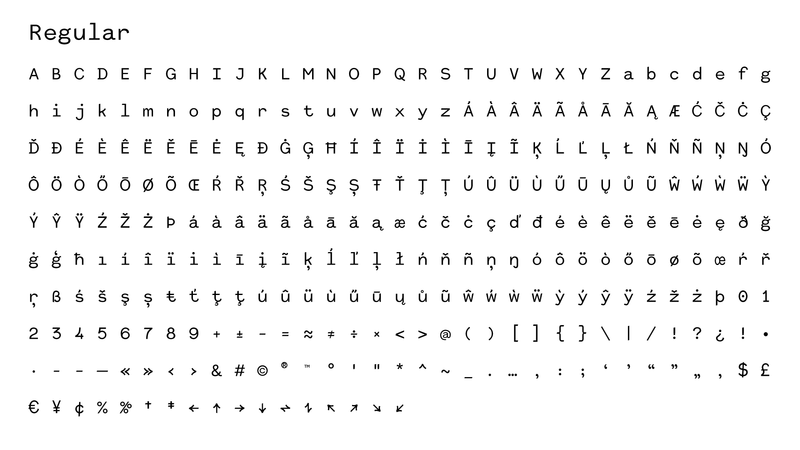 I started to research font creation tools, asked around online, and most people pointed at the GlyphsApp, and I dug deeper. Glyphs seemed quite intuitive, feature-packed, and came with its own rabidly-loyal fanbase, and the forum posts contain a lot of answers and replies by the makers themselves, which is always a good sign. I decided this was what I was going to make the font in. But now there was a catch. It would cost me €250, a significantly hefty sum. Thankfully, there was a trial period of thirty days. “Brilliant!” I said to myself. So on June 5th, 3.54AM, I got started with my font. 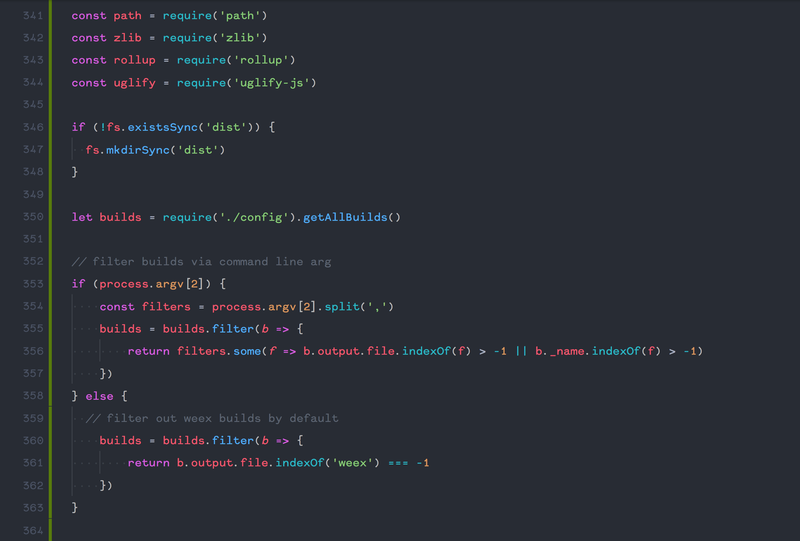 Now, because this was a monospace font project, I could avoid kerning altogether, and save months of time. I began with simply sketching random shapes for the lowercase ‘a’, and must have done about thirty variations, before I settled on a particular style. I had always loathed the sterile mathematics of geometric typefaces, and knew that grotesques were the way to go. This particular lowercase ‘a’, had plenty of imperfections, largely due to my amateurish bezier-curve wielding, but hey, we all have to start somewhere. Here is the first thing I drew. Yes, yes, hinting was WIP— but look at this ugly duckling. Quickly, I started work on the the other characters, while continuously tweaking older ones. 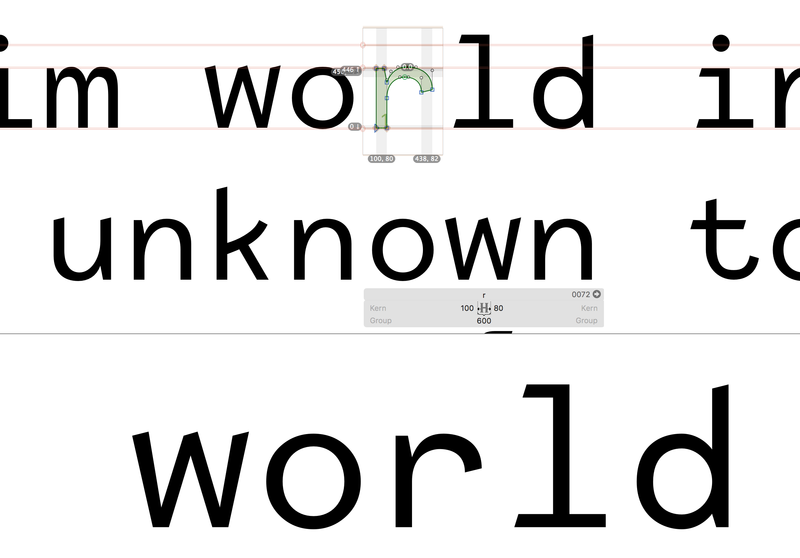 The charset quickly grew, and the typeface began to take shape. Notice that the ‘a’ had already morphed into something else. Every time I drew new characters, I quickly tested them out with random strings, and spent time optically tweaking the vertices and curve handles. This is a laborious process, but this is the soul of the typeface. I was also learning the nuances of GlyphsApp on the go, so I made plenty of goof ups, such as deleting the entire charset by mistake, and had to start from scratch. 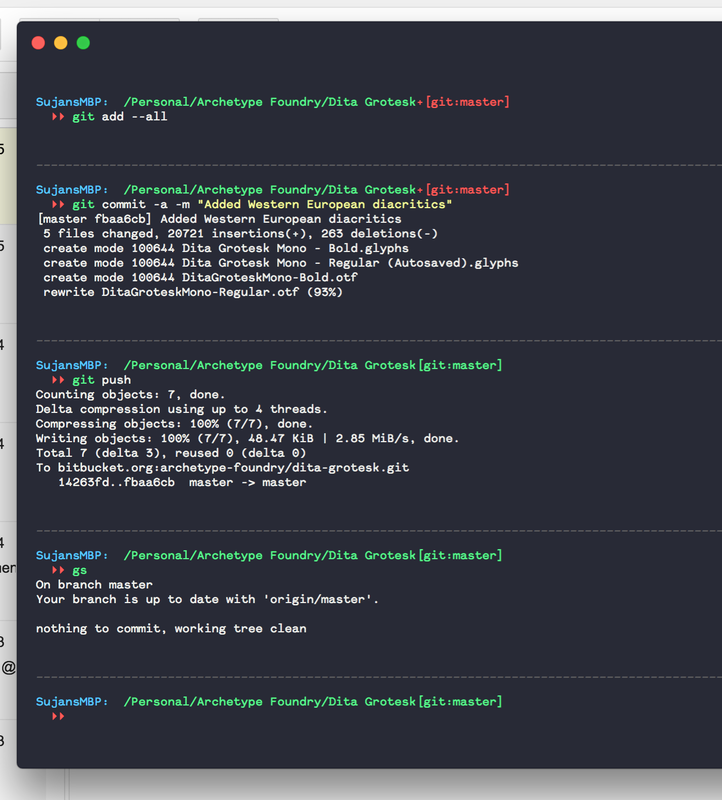 Self-loathing set in, and this was when I started using git to manage the source files. I committed often and pushed daily, something I cannot stress the importance of enough, especially if you’re starting out, just like me. For the next two weeks, I spent every waking hour apart from my day-job on this type project. I woke at 4AM, worked on this for three hours, went to work, back at 4PM, and worked on this again until 10PM. I was possessed, drawing curve after curve after curve, day in and day out. Draw, save, draw, save, test, draw, save, test, commit, draw, save— you get the picture. Testing with limited characters. Impatient AF, I was. This was also around the time I realised that ‘this-project’ needed a proper name. Until then, I was calling it ‘Sub Grotesk’. It was a temporary title, though. I started exploring names on the side. Now, Sub Grotesk was taking shape, but it had no defining characteristic. It was acceptable to look at, and performed decently at small sizes — this was what I was looking for. 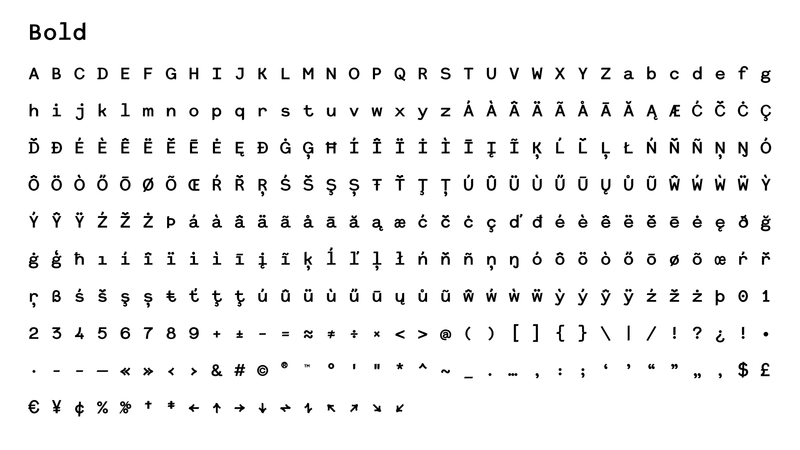 An early lowercase character set. Notice the rudimentary ‘b’, ‘d’, ‘p’, ‘q’, and the particularly mundane ‘z’. This is when I came up with the idea of nothces— small angled cuts that added a touch of flair to the letters. These cuts are angled to sit pretty with cuts on the other characters. Another thing I am especially fond of is the endless em-dashes you can construct— they sit end to end, particularly useful for em-dash fanatics like me, the longer they are, the better. Now that the cuts were the defining characteristic, I spent a lot of time placing them, angling them just right. On top of this, I also had to decide where, and where not the cuts need to go. Which way should they lean? Which letters get the notch? And where? All ascenders? No, that’s stupid. All terminals? Overkill. I grappled with these questions, and just brute-forced innumerable permutations. I had to be careful too, the wrong decisions could spoil the entire look and feel of the font. I went crazy with variations before I settled on the current version you see above. Next came the numbers. These too I quickly added, using simple shapes and basic vector curves. I also heavily modified the lowercase letters, and it started to look better and better with each edit and tweak. Glyphs has this great feature where you can edit the curves from inside of the preview panel itself. This speeds up editing by a ton, and edits are reflected in realtime for all the other character instances. At this stage, I was about ten days into the design process, and it was time to another weight. Just Regular alone wasn’t going to cut it. Emboldened(pun completely intended) with my progress so far, I added a heavier weight, and went about tweaking the stem widths and counter volumes, and this was by far one of the most difficult phases of the project. 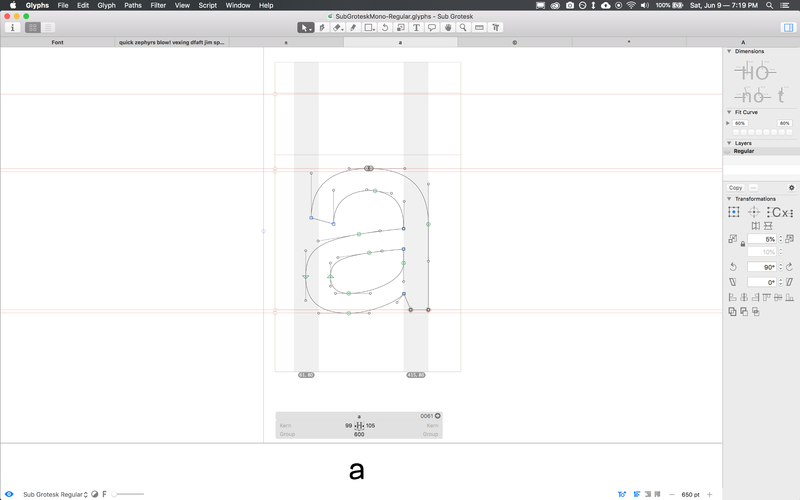 The Offset Curve tool in Glyphs proved invaluable, and is an incredible time saver. It basically allows you to fatten up / shrink characters in the X and Y axis— not a final output, but an excellent base for you to quickly tweak. Thus Lipi Grotesk Bold (I had changed the name again) was born. Now, the diacritic and the foreign language support. This is extremely simple in Glyphs. Just draw the marks, and you can instantly build the corresponding character at a click of a button. Then, when you tweak a particular mark, it is updated everywhere. This is probably one of the best features of Glyphs— component-based glyph creation. You can even break down individual characters into components, and have a single master which you edit to have it reflect in every instance. These foreign language characters I tweaked for another week, and in parallel, also had to edit the basic character set, to compensate for the increase in overall character height. 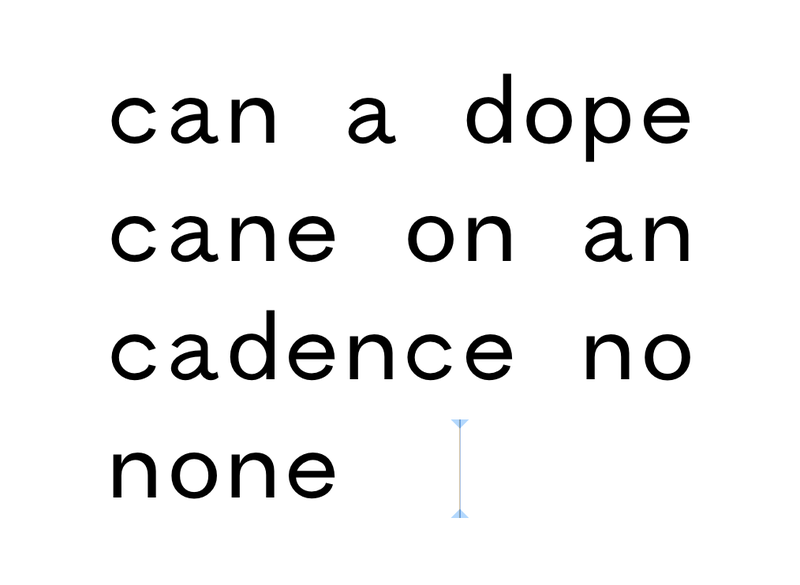 Type design is all about patience, perseverance and cursing under your breath. While all this was going around, I was also wondering how to publish Lipi Grotesk. My initial idea was to just do this font as an one-off project, just to see what might come out of it. I was thinking I would just post this on my website, and that’s it. Maybe even open source it. Now, as I progressed deeper and deeper into type-land, I became interested in launching a proper brand around this— a foundry. The logomark I think is quite brilliant— it is not only the lowercase ‘a’, but also the first letter of the alphabet in my native language Tamil, which is used to signify the start of something new. 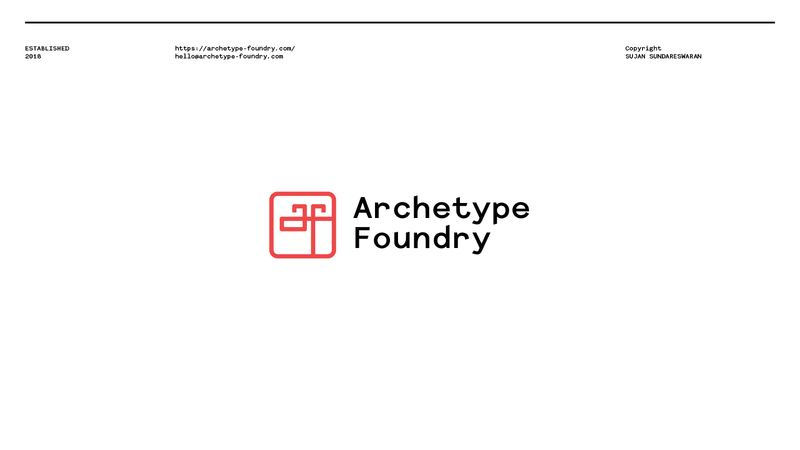 Also, the terminals of the ‘a’ and the ‘f’ form the letter ‘T’, which stands for the ‘Type’ in archeType. Neat, huh? I began to delve into that idea, and continued to work the typeface in parallel. The good part of last week was spent tweaking, tweaking, tweaking and more tweaking of curves, vertices and positions of various characters. Like I mentioned above, it involved a lot of cursing. 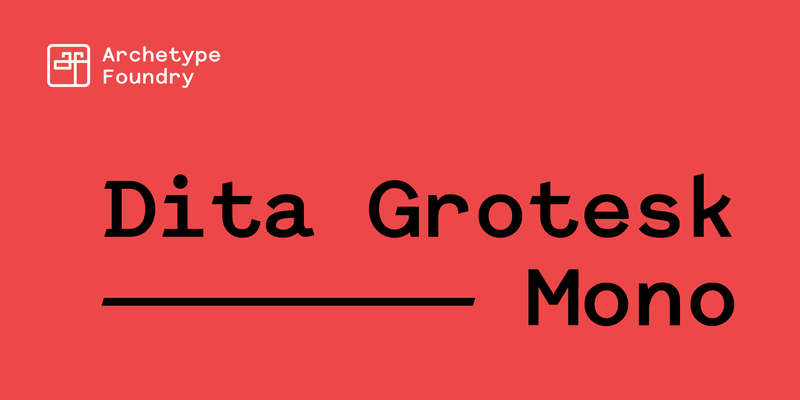 And finally, a few days back, I decided to wrap up work on the first version version of Dita Grotesk Mono (final name change, I hope!). I’m using it everywhere now. The main reason for this breakneck pace— I needed to do this before I had to shell out €250 on Glyphs. I eventually will, but needed to see for myself what I could accomplish first. Comes in five weights now, with a completely reworked design and much improved legibility. Over-enthusiastic designer with an ungodly obsession for em-dashes and — tea.